Why don’t most Major League Soccer franchises play their academy starlets? While the former game was as infuriating as the latter looked miserable, perhaps the most interesting Zlatan-less talking point in the league was the New York Red Bulls against Orlando matchup in Florida. With a team of academy graduates, young reserves, and a few of the old guard, the Red Bulls outplayed an Orlando side with some of the league’s more expansive stars. It was an impressive performance from a team that has taken both MLS and the CONCACAF Champions League by storm this season. Playing an entertaining brand of football, the Bulls have succeeded by fielding graduates of their own academy for over 35 percent of their total minutes played, about 30 percent more than the league average. In the process, the club is currently in a playoff place with a game in hand and ranked second in the entire Eastern Conference in goal difference. With this success, the Red Bulls have become the on-field embodiment of an inquiry that’s been a long time coming in the league. Why don’t more MLS franchises play their kids? It’s a relatively simple question. When you have a promising young athlete, it seems like a no-brainer to give him first-team action. Ability remains a positive feedback loop. Good players improve by playing with great players. If the talent is there, and the choice is academy, USL loan or first team, the high-pressure situation will usually be most conducive to athletic development. Vermes makes an effective point in that it’s impossible to argue. Obviously there’s a hard line that separates staff from fans and critics. Coaches watch players train every day. They receive feedback from other coaches. They talk, eat and travel with them. It’s their responsibility to monitor their athletes in the same sense that my full-time job isn’t watching and writing about football. Logically, it’s understandable that a coach is a better resource on if a player is ready for first-team action. But that’s not the question that needs to be posed. It’s how can there be such a gulf between the rhetoric of MLS coaches like Vermes and what we actually see on the field. The rise of American starlet Tim Weah is a fantastic example of this principle in action. The son of George Weah, the former Liberia star and its current president, Tim was unquestionably one of the better players at last year’s Under-17 World Cup in India. His hat-trick against Paraguay was more than evidence of his fantastic talent and technique. Since then, Weah has only improved as a player at Paris Saint-Germain, making a few first-team appearances off of the bench along the way. 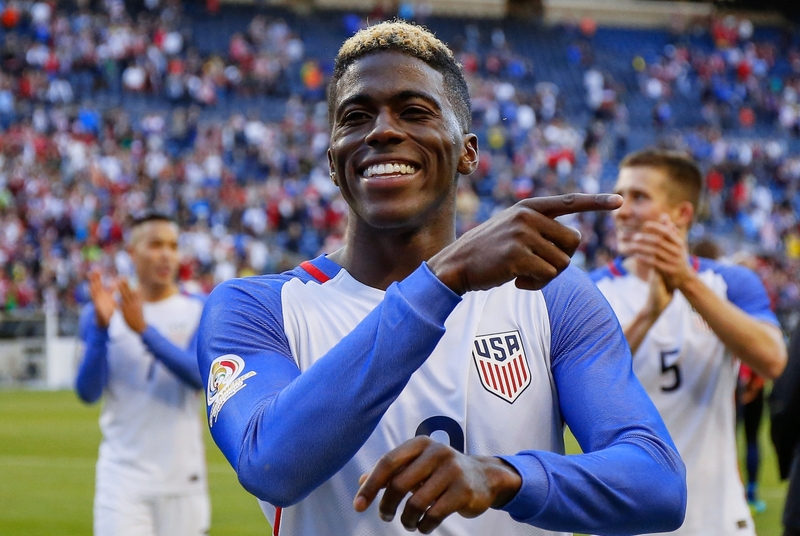 In reference to this sudden arrival at the top club stage, Weah was called up to the United States senior national team for its recent friendly against Paraguay. It’s been quite the rise for a player that, as of a year ago, wasn’t even a consistent starter in under-17 team. In contrast, out of his fellow former teammates in MLS, only Chris Durkin is seeing regular minutes for his club. The yearlong difference in career trajectories between Weah and the domestically-based players on the under-17 roster borders somewhere between absurd and unbelievable, with both options reflecting poorly on the league. Did Weah improve exponentially abroad in that he went from youth international substitute to first-team winger at one of the world’s top clubs in just a year? Are MLS coaches’ severely underrating Weah’s one-time teammates and their own young talent? Or are fans, journalists and critics’ just idiots, and it’s really not that simple? It’s definitely not the last option. Watching the Under-17 World Cup, Weah was a good player in a very good team. However, he wasn’t anywhere near as talented as Andrew Carleton or as consistent as Chris Goslin. Yet both can’t get legitimate looks in Atlanta United’s first team, while Weah consistently lines up alongside Neymar. And still, we urge the MLS based duo to patiently wait their turns behind Kevin Kratz and Romario Williams? 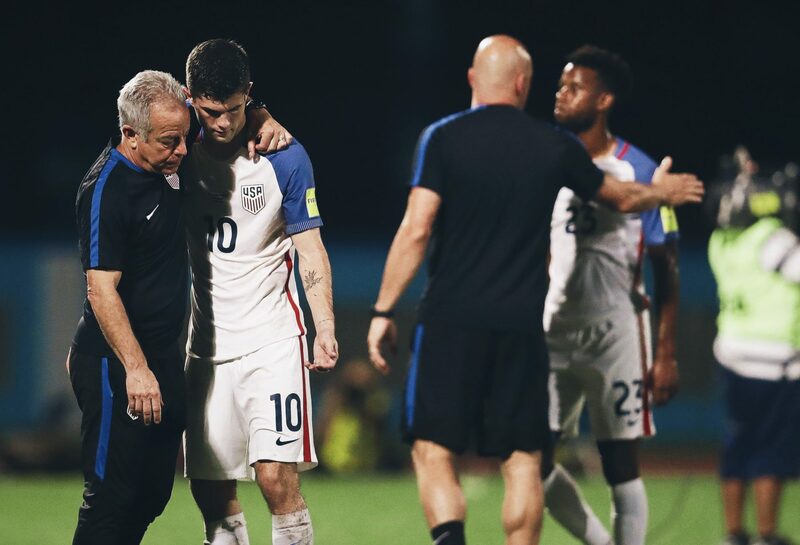 It’s understandable that MLS coaches want to put their best sides on the field, but at what stage do they have to take some responsibility for the development of their young players? Especially when the two options have never been mutually exclusive, a point that both the Red Bulls and teenagers like Durkin, Djordje Mihailovic and Alphonso Davies have all proven in their first-team chances. However, according to analyst Alex Olshansky, until this season, under-22 domestic nationals (Americans and Canadians) played just two percent of the available minutes in the league. In contrast, Serie A sits just over four percent, the Premier League is at almost five percent, LaLiga is over five percent, the Bundesliga is almost eight percent, and Ligue 1 is at 10 percent. To put this issue into perspective, these numbers are coming from countries where every game actually matters. In contrast, MLS is perhaps the only major league in the world where for seven months, clubs can lose more games than they win and still have a shot at the ultimate prize. If a team goes an entire season without a win, goal or even shot on target, they can try again in the next term. For better or worse, the structure of the league is perfectly suited to polishing the occasional gaffes of a young player. Yet a few weeks prior, LA Galaxy preferred to put two goalkeepers on their bench rather than take the chance and promote one of their many teenage talents. There is no grey area here. Major League Soccer’s reluctance to play talented young athletes is very much a systematic issue. Our kids have proven – and will prove in the future – that young American players are good enough. Those asking why they aren’t seeing the field have never been the problem; it’s those flat-out refusing to listen. 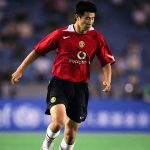 As the Red Bulls are currently demonstrating both at home and abroad, prioritising youth talent will not only improve individual franchises, it’ll enhance the profile of the league. A better domestic league leads to a better national team. A superior national team is good for the overall development of the sport as a whole. It really is this simple. And there is no doubt in my mind that the best teenage American players are starting to see this dearth of opportunity for young players in MLS. 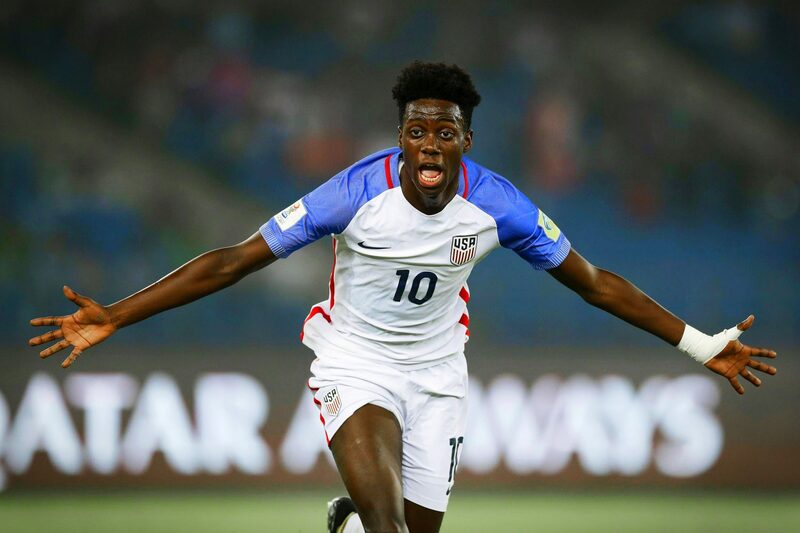 So best of luck to the full-American international Timothy Weah at PSG and with his country. I know that I won’t be the only one watching his rise with interest.